Stop drinking and driving NOW. Friday brunches, evening drinks with work colleagues – all wonderful stuff which can be ruined by the stupidity of some. Women and men of all nationalities seem to think it’s ok. In their home countries drinking and driving is frowned upon and they do not take the risk so why do they think it is acceptable here? 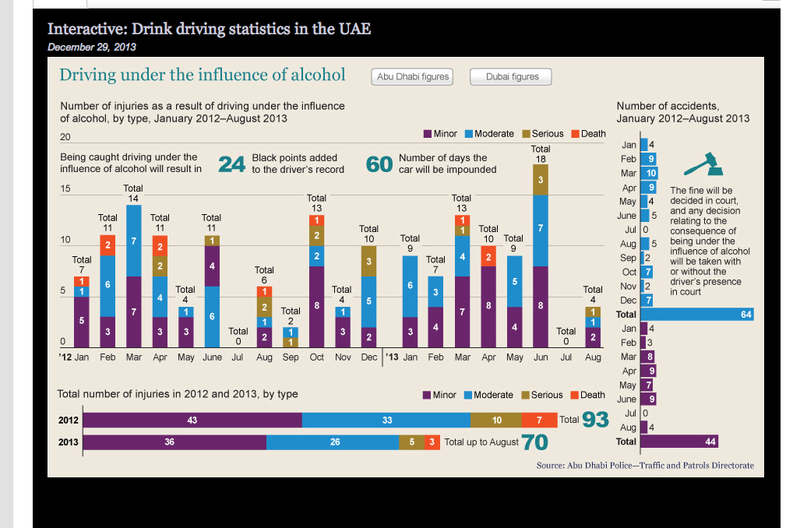 The number of road accidents and fatal road accidents in Dubai makes for scary reading. Drunks drive cars without thinking. Children are their passengers making it even worse, and without seat belts. Who, in their right mind, would like to be responsible for injuring a child or even killing one? If you are drinking and driving you are responsible for the car, yourself and your passengers. It is downright stupid to think that you are in complete control of a vehicle when you’ve had even one drink. STOP NOW. Don’t drive if you’ve had a drink. Apart from the consequences of a prison sentence you could be facing a murder charge if you are involved in a fatal accident and have alcohol in your blood. Quite honestly, this is a selfish act, unbelievably selfish. As an adult you can self-police. Don’t be an idiot or even a murderer. You are driving a car, which shows how far we have advanced in terms of technology, but if you’re still drinking and driving you may as well revert to life thousands of years ago. You are after all a NEANDERTHAL with little capacity to make intellectual decisions even if you are the CEO of an amazing company you are not clever. We’re on this road together. Take your friend’s car keys. Argue with them or do whatever it takes to stop them driving if they’ve been drinking. You might be saving more than one life. Do not keep silent. We expect nothing less from you. Don’t be one of these statistics. By the way, if you or your friend needs a driver to take them home – look no further than The Safe Driver – a company which will organise to drive your car (and you) to any destination in the UAE. If the journey is within the Dubai boundaries then the price (according to their website) is between AED 90 and AED 150.